It’s that time of year again when we’re all caught up in the bustle of the holiday shopping season. Right now, you might still be recovering from too much pumpkin pie, politically charged conversations during Thanksgiving dinner, or your annual Black Friday shopping adventures. Let’s not forget, however, that the day after Black Friday marks #ShopSmall Saturday, which is easily one of the most important days to shop during the holiday season. So this #ShopSmall Saturday (also known as Small Business Saturday) be sure to put your money where your community is and support Latinx-owned business. We’ve rounded up 10 Latina-owned businesses where you’ll find everything from Wednesday Addams nail covers, cute concha Minnie Mouse ears for your next Disney trip, Selena and Frida Kahlo prints and candles, to shirts and enamel pins you can wear proudly (and that make perfect stocking stuffers for your friends, cousins, and aunts). But keep reading, and you’ll also find great advice from the mujeres in charge of each of these businesses. HelloGiggles spoke with these women about what running a successful business means to them, and got their advice on venturing into entrepreneurship on your own. So whether you’re looking for the perfect gifts or that extra nudge to start your own business, we’ve got you. Patty Delgado: Success is not linear, and there is no end point or final destination. It’s all about loving the journey. Every day is a struggle, especially when you’re so emotionally invested in what you do. Success to me isn’t getting 50k followers, or 1,000 likes on a photo; it’s making sure that my business is moving forward, functioning, and that my customers are more than happy. The best advice I can give to anyone who wants to start their own business is: If you don’t know where to start, definitely try collaborating with your community and fellow mujeres. Everyone flourishes when mujeres help each other out! Mireya Palencia: Knowing that there are low numbers of female entrepreneurs — and that the numbers are even lower when it comes down to Latina women — is what motivates me to keep pushing. My business was created to break away from any gender and social norms, and I take offense when I hear “look how far you have come,” because Latina women should not be limited to following the norms. Instead, we should all break away from such expectations and make Latina women’s success the new norm. The best advice I can give to anyone who wants to start their own business is: Starting a business can be scary because we often lack the knowledge on what it truly means to run a business. I advise you to let go of the fear of not knowing and jump into the circle of discovery. The only way to learn is to jump in, and although there will be people who will tell you that your creations or ideas are a waste of time, you should continue to learn and motivate yourself, because if your business makes you happy, then it is not a waste of time. 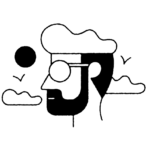 Leslie Gutierrez Saiz: [I am] creating merchandise that reflects my culture, my humor, and my design aesthetic without compromising my integrity. And if I can inspire other Latinas to become their own bosses, even better! The best advice I can give to anyone who wants to start their own business is: Don’t compromise quality and time. If you believe in the product, take the time to make it — and make it well. Stay authentic to who you are, but do not limit yourself; think big and market your business to a broader audience. Don’t forget the details, as the operational side of your business is equally as important as the creative side. This means watching your production costs and inventories, and tracking everything. Learn how your customers find you and how to make the best use of your time. Lastly, have fun doing it! Noelle January Reyes: Success is defined by the happiness we create. It has taken years of hard work to be comfortable in accepting responsibility for our social entrepreneurship. Being strong enough to constantly evolve creatively in order to provide [our customers] with products and lifestyle artistry that always showcases the resilience of our culture. The best advice I can give to anyone who wants to start their own business is: Your passion has to be ignited by true sincerity. People will need to connect to your magic and share your same passions. Transparency is key! Lian Amado and Jisely Jimenez: We’re bringing awareness to Latinas and the things that we can do, so from the start, I knew we were a success. There’s actually a great pressure to carry in representing Latina women because we’re already underestimated. We are the minority, so we want to show the world who we are and, more importantly, remind Latinas of how big we can be — but we need to know that for ourselves. So as long as Latina empowerment is coming from Su_Ella, we are a success. The best advice I can give to anyone who wants to start their own business is: Lian and I gained confidence through prayer. We put Su_Ella in God’s hands and blessings came and continued to pour in. We lean on each other for the extra push and motivation one or the other may not have at the moment. And always learn from your mistakes; never let it get you down. The average successful business person started multiple unsuccessful ideas before they reached the right one! Jennifer Serano: Being a Latina business owner is something I’m very proud of. 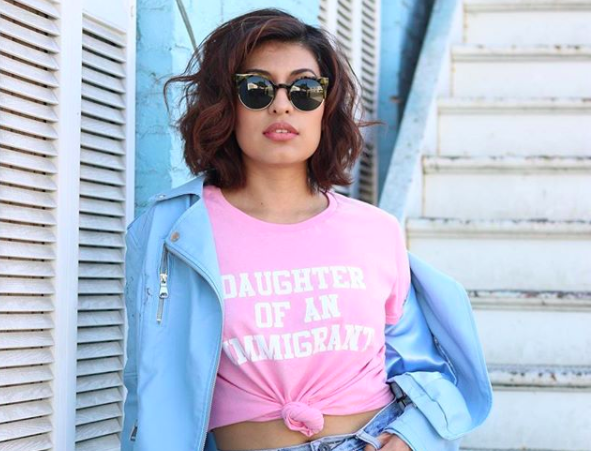 This past year, I have seen JZD grow into a business that not only creates graphic tees for the Latinx community, but into a brand that people can identify with and a brand that makes people feel empowered. The best advice I can give to anyone who wants to start their own business is: Just go for it! Bet on yourself, believe in yourself and in your magic. Once you begin the crazy adventure of being a business owner, breathe, live, and love your brand. Leslie Garcia: As a Latina, running a business is a testimony of all that I’ve learned from my family. They have taught me to hustle and pursue my dreams with reckless abandon. My business is my love letter to them. The best advice I can give to anyone who wants to start their own business is: Do what you can with what you have, and having faith in yourself is so important! Sabrina Alicea: As a Latina, success for me is in the women I make happy with my brand. My business is successful when Latinas feel empowered and represented. Latina voices are often unheard and/or simply entertained and not valued. Through my business, I counter the narrative that an “Educated Latina” has to be one type of woman. Instead, my business seeks to support Latinas as their unapologetic selves. The best advice I can give to anyone who wants to start their own business is: Do it! We all have something special to offer and share. I have learned and am continuing to learn so much about myself through the creation of my business — that in itself is being an Educated Latina. Anytime we are allowed the opportunity to grow and learn more about ourselves, we are diving into a self-education. That’s a gift I would love for every Latina. Ana Guajardo: I am proud of my heritage, so much so that I wanted to see it represented in the nail art world. My grandmother [also] owned and operated the only Mexican restaurant in a small town in Nevada for 20 years, and I am proud that I can carry on her legacy of being a business owner. The best advice I can give to anyone who wants to start their own business is: Create a business that speaks to your heart, not your bank account. I know it’s cliche to say, but I truly believe if you do what you love, the money will come. Nowadays it’s so much easier to launch a product and test it in the market through social media and online promotion. It’s okay to grow little by little if you have limited resources to do a big launch. The important thing is to get started and build momentum! Megan Maria Viridiana Connerley: As a Latina, I feel incredibly proud to be following my lifelong dream of owning my own business. I feel like I’m not just living out my own dreams, but I’m also living out the dreams my mother and grandmother had when they first stepped foot into this country. The best advice I can give to anyone who wants to start their own business is: Don’t let lack of money discourage you. I started my business while I was unemployed. Spending money on anything was a big deal, so when I took $50 of fabric and turned it into $200, I realized I could really do this. Take a chance on yourself. If you don’t, you can’t expect anyone else too! Even if you start small, it’s still a start. Elizabeth Nunez-Xoconoxtle: Making an impact on your community and bringing exposure to the products/designs that you love creating is such an important aspect of running a successful business. Whenever my work gets recognized, it honestly makes all the hard work that I put into my business worth it. The best advice I can give to anyone who wants to start their own business is: Be fearless, do your research, and take the necessary steps to get your business up and running. You will end up in unfamiliar and uncomfortable situations, but find a way to persevere and push through. You got this mujer — just love what you do, love what you create, work incredibly hard, and success will follow. Now go and support these creative, independent, and inspiring women.